A master hairstylist and accomplished businesswoman, Heather Yurko is renowned for her contagious enthusiasm and expertise in cultivating a culture in her businesses. At the Phorest Salon Owners Summit 2019, she shared her secrets for building a great salon team of elite performers. Heather Yurko is an extremely experienced industry professional. Like many hairstylists, she began work as a low-paid trainee before opening up her own closet-sized hair salon in her hometown of Louisville, Kentucky. After quickly outgrowing this location, she went on to open up Neatbeat Salon, one of Kentucky’s most distinguished hair salons, and PIP University, a training school for industry workers. 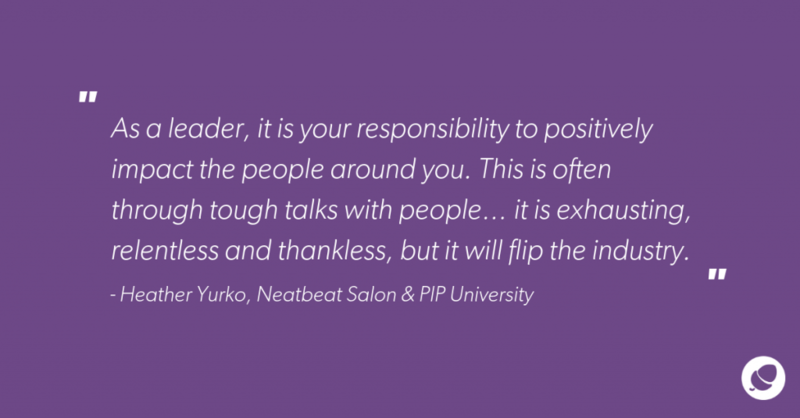 Not only is Yurko known for her achievements as a hairstylist, but her innovative methods for building great teams are also widely recognised. After opening her first salon business, she soon realised that she’d created a dependent culture among staff by attempting to solve all of her staff’s problems herself. “I thought that by doing everything myself, I was helping them” she said, statement met by many nods of agreement around the room. “But what kind of environment does that create?” she continued. “Lazy,” “dependent” and “babysitting” were just some of the replies. Having discovered the term “Vu Jade” (the act of looking at something you’ve seen before, but with a new perspective), Yurko decided she needed to implement this in her business in order to build a great salon team. She did this by changing her own leadership techniques. Interestingly, her inspiration came in the form of The Navy Seals Mental Toughness Programme. After researching the training techniques they used, she applied the basic values behind their programme to her salon staff training. How Can Navy Seals Training Be Applied To Building A Great Salon Team? Goal Setting: Each morning before the start of their shift at the salon, the team gather and set their daily goals. This engages the frontal lobe of the brain, which better prepares staff to deal with any unexpected changes that may occur during the workday. This activity also helps the team avoid overwhelming amounts of stress and promotes perseverance. Visualisation: Staff members are asked to intently visualise every detail of an occurrence that may happen in their day. This allows staff to familiarise themselves with any future changes to their day and enables them to interact confidently with all clients. 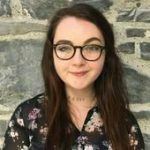 Self-Talk: Heather emphasises that she is a believer in the power of positive thoughts, and this is where self-talk comes into her daily staff routine. According to Yurko, we think of 300 to 1000 words per minute. If these thoughts are positive rather than negative, our entire mindset changes for the better. Heather encourages her staff to be mindful of how they think, feel and act in the moment and believes that if self-talk is positive, it will increase staff productivity and mental wellbeing. Breath Control: Each morning before work the team performs deep breathing and relaxation exercises. Similar to the Navy Seals, this enables Yurko’s staff to begin the day relaxed, calm and mentally focused. Despite adding some extra work to the day, Heather believes that all of these practices pay off. By using the training techniques of the Navy Seals, she encourages the personal and professional development of her employees. She gets a return on this in the form of a great salon team who’s capable of achieving high financial turnover for the business. In her experience, employee development enhances strategic thinking. From this, talent, creativity, clients, reputation and revenue follow. Heather’s end goal reaches even further than the limits of her own business. She wants to change the entire industry. She wants it to be respected in the same way that doctors, attorneys, and indeed The Navy Seals are; “I am doing this so that in 50 years, parents will clap when their kid tells them that they want to be a hairstylist.” And according to her, the only way to change the industry is to change the way that salon owners, workers, and society view it.